Native plants are my favorite. Long-time readers are probably aware of that, but for newer readers, I have hard time coloring flowers that aren't native. It's a small quirk, but it's all mine! Daisies are native to my area as not only weeds, but prairie plants. 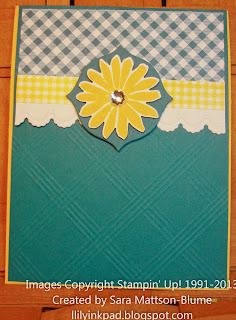 When I needed a focal point for my swap card, I went with the daisy in Secret Garden. I added many details to this card as it was for Lyssa's Convention Quality Swap at Convention--one that has high standards and is hard to get into! I've never used the Apothecary Accent 4 sided shape before, but it fit perfectly behind my daisy! 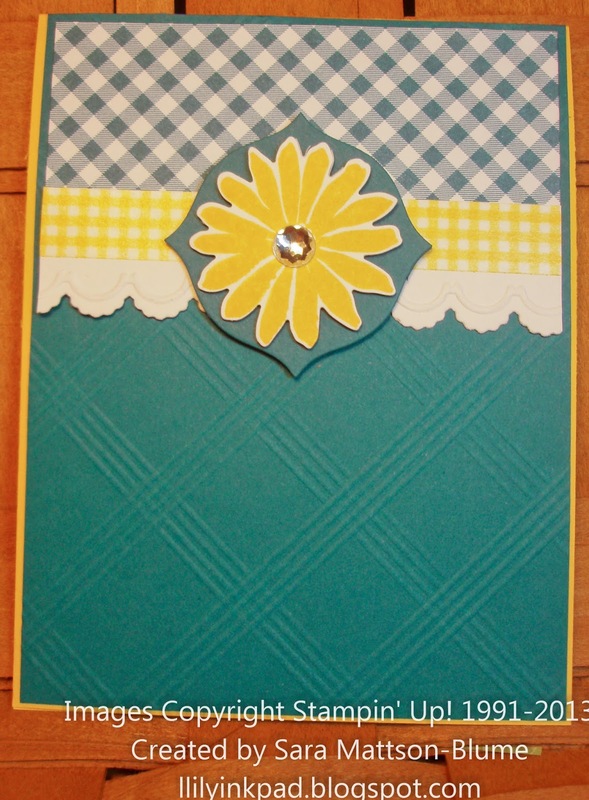 I also used the Washi Tape for color. I loved that it matched my Designer Series Paper. I then repeated that Gingham look with my Diagonal Score plate. I scored every 1" starting at 1/2" inch and then turned my paper and then 1" the other way.